There’s a barn full of reasons to take in your local fair, whether you’re taking a break from the work of the farm or you’re just getting in that last bit of play in before school. Here are five ideas of great things you should do at the fair. It’s the lifeblood of our ag roots. Plus it’s also fun to sample anything on a stick or in a cone. What better place to gather with old and new friends? Unite in the fact that town and country really need each other to thrive. 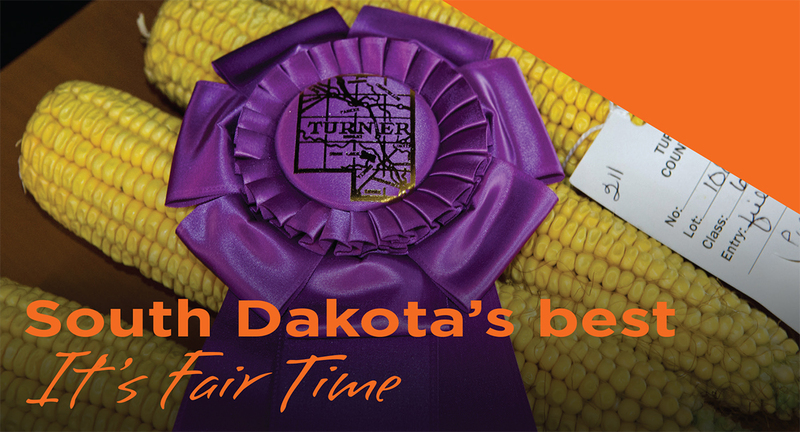 Farmers and ranchers put a lot of work into showing their produce and livestock. Take advantage of their knowledge and ask lots of questions. It’s not only fun but also educational. Kids naturally love all animals, and you can often see many you haven’t before at the fair. It’s an invaluable hands-on learning experience. Unless you wouldn’t clear doctor’s orders, give that fast ride a try. We all work hard, so why not play hard with a ride that gets the blood pumping? Above all, fairs are celebrations. They’re a great place to interact, learn, laugh and support our local heritage. Check out your local fair and discover The Farmer in You.